Paper Daisy Crafting: Another Thursday, another Project Share Project! Another Thursday, another Project Share Project! Welcome to another Thursday and another edition of the Project Share Project, where I get the chance to showcase projects made by my fellow team members. Today I have decided to feature 3D projects rather than cards. And first up is Angelina over at Intatwyne Designs. 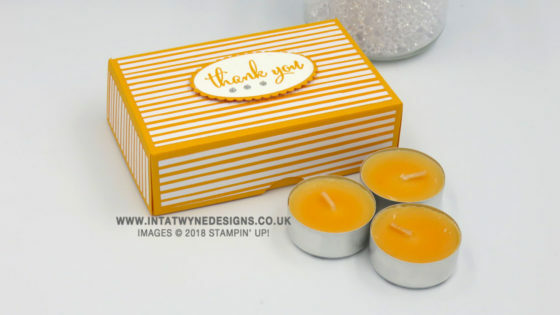 Angelina has made this pretty box in a range of different colours and it holds 12 little tea lights. So sweet! Just click on the image or HERE to see more! Next is Amanda, aka ScrimmpingMommy, who has made this covered double note book using the beautiful Share What You Love papers. Again click on the image or HERE to read more about Amanda's project. 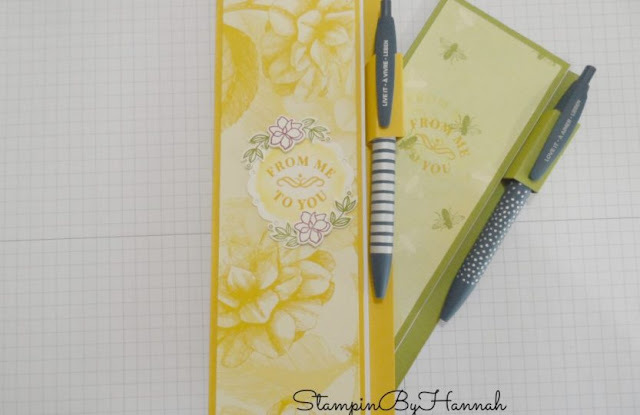 And finally for today, have a look at what Hannah, of Stamping by Hannah, has been up to. Again, just click on the image or HERE to see more. All of these projects would be great makes for a craft stall or maybe just to gift to some of your favourite people! Hope you've enjoyed seeing these projects today. Please don't forget that the fantastic joining offer is drawing to a close - we have had loads of new demonstrators join the wider team since the beginning of July and I would love you to join my team. If you'd like to have an informal chat about it, just let me know!